This sign measures 60″ by 36″. The sign is for Jenney Gasoline. 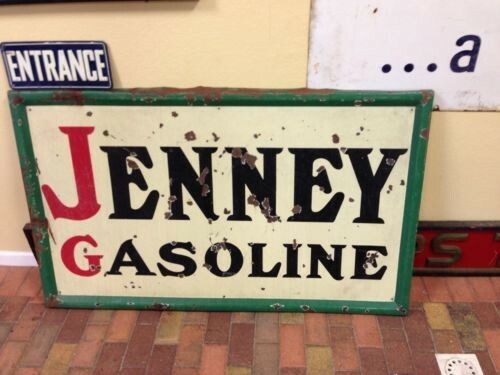 The text reads “Jenney Gasoline” and the first letters of each word are red with the rest of the text being black. The sign has a green boarder and white background.